We are heading “Over There”. 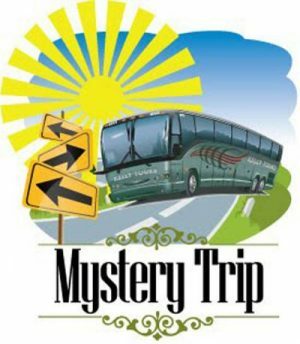 You don’t want to miss what’s “Over There” so join us on this Mystery tour. We’ll visit a “cool” place (bring your jacket), a “tight” space (not recommended of you are claustrophobic), a “wild” collection (bring some cash for shopping), a “border town” (you won’t need to climb “The Wall”), an aquatic attraction (swimming is not required) and a birding adventure (bring your binoculars). A funny, energetic and mysterious step-on guide will lead our day’s adventure – we dare you not to laugh. A delightful lunch is included. Minimal to moderate walking. We think you’ll be happy you finally went “Over There”.